Everybody knows about Malala. Everybody should read her book. Doing so will make you into a better person. Naturally, some of it is horrific reading, including natural disasters, the atrocities of the Taliban, and of course the later part reporting on her shooting and recovery. But even these sections are fascinating, informative and inspiring. And so much of it is joyful. If a flower could write about her life, this is how she would write. Seeing Pushtun culture from within was interesting and educational. And no one reading this book could continue with the delusions of those who see all Muslims as evil terrorists, the Other to fear and hate. Malala comes across as a real person, with her faults as well as good points. She is not some saint, up there, but one of us. That means, each of us can be like her. Even before reading the book, my often expressed opinion was that her father must be exceptional to have raised a daughter like her. My reading confirmed and even reinforced this. From an early age, he has defied the conventions of his culture, and followed his own light of decency, intelligence and courage. I do have one slight disagreement with this young lady. For her, education is the key to everything, for me it is one essential component of several. But that’s fine. I hope her influence only continues to grow. 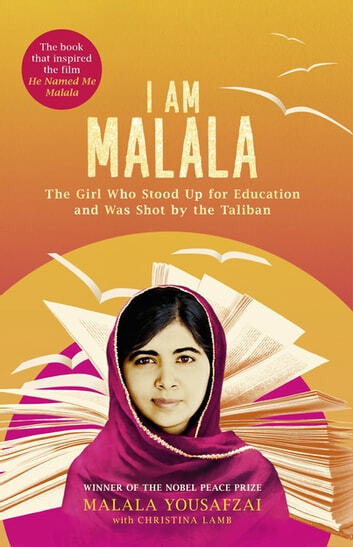 I loved I Am Malala about this amazing Pashtun woman for its uniqueness and beauty. From a child activist to a global icon Malala has showed me what it means to have belief, hope, faith, resilence and love! 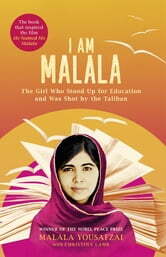 What I love about Malala is her down to earth attitude and labelling herself as ordinary. I feel like I understand her personally through her determination, our closely linked culture, similiar opinions and beliefs and most importantly our love for our own countries! I really love my country! The world needs someone like Malala to bring light and hope to the darkness and fear gripping our world today. I know Malala can accomplish her mission and hope she reunites with her Swat, Pakistan. She has inspired me to value my own education and to do my own work for others in the future. She has proved that one child, one teacher, one book, one pen can change the world. A little slow at first but once I was a few chapters in I was hooked. Malala is incredible. What an inspiration. And what a great cause she is fighting for (or rather, leading). Worth a read. A great and inspiring true story that touches the heart.....every Taliban should be forced to read it ....maybe this should more than touch his heart...it would open his mind too. written in the backdrop of taliban forced law in the valley of Swat, Pakistan Christina Lamb takes us to see the injustices done to girls in that area and at the same time showing the beauty of Swat and simplicity of people there. It is the narration of a young girl who showed courage in difficult times and there will be an aspiration for all the girls around the world.